I had ASUS N70SV with chipset SIS SiS 671DX+968 and i want to know if is compatible with Intel QX9300 and 8GB DDR2 RAM. No, quad cores CPU aren't supported. Which CPU is supported by SIS 671DX? T9400, T9550, T9600, T9800, T9900 and X9100 are recommended. (01-29-2019, 11:27 PM)DeathBringer Wrote: [ -> ] T9400, T9550, T9600, T9800, T9900 and X9100 are recommended. Thks i will chose X9100. Do you know if this chipset is compatible wirh 2x4GB DDR2 SODIMM? Officially it supports 2x2Gb DDR2 533/667 Mhz. (01-30-2019, 08:41 AM)DeathBringer Wrote: [ -> ] Officially it supports 2x2Gb DDR2 533/667 Mhz. 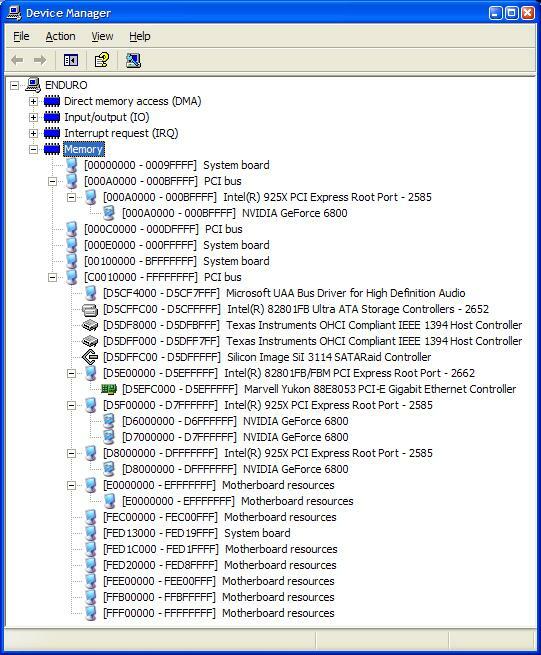 I notice the system only show 3GB of ram, i installed 2X2GB DDR2 with Windows 10 64Bits. On bios shows 4GB, i try MEMTEST and only shows 3GB. Resize such window to show all information. Make and post a screenshot of it.